Gracy Bean, 90, of Beckemeyer died Friday November 16, 2018, at her residence. She was born on September 13, 1928 in New Haven, Illinois, the daughter of Mary and James Hays. On February 12, 1946 she married Mack Bean at Shawneetown, Illinois. 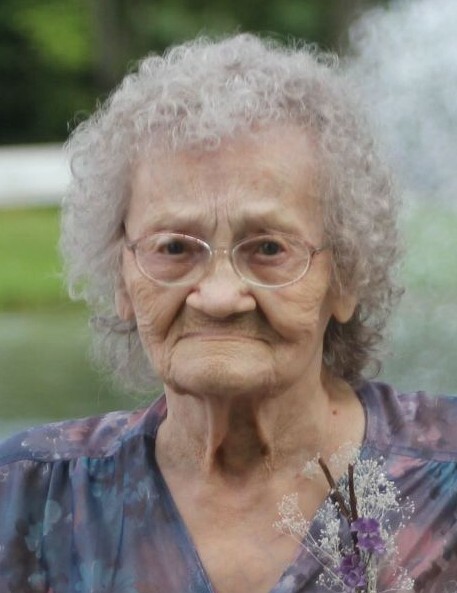 Gracy was a Homemaker and loved to embroidery, crochet and listen to country music. Survivors include her son, Herbert (Shirley Wilkerson) Bean; three daughters, Molly Glanzner, Joyce (Dennis) Lappe and Theresa (Harry) Graham; a step-brother, Jackie Hays; nine grandchildren, Kenny (Lisa) Wilkerson, Lori Wilkerson, Lou (Jason) Keilbach, Ronda (Chris) Lurkins, Darin Lappe, Damin (Justin) Lappe, Daniel Graham, and Jennefer (Jay) Graham; 14 Great-Grandchildren, Josh, Dalton, and McKenzie Wilkerson, Bailey, William, Ryan Trame and Landon Keilbach, Hank and Raelynn Lurkins, Darin Jr. and Abigail Lappe, and Gracie, Isabella Graham and Blake Riebel; and a friend Ron (Yvonne Johnson) Spihlmann. She was preceded in death by her husband, Mack Bean; a son, Donald Bean; a son-in-law - Doug Glanzner; her grandsons, Dennis Lappe Jr. and Pete Spihlmann; and many brothers and sisters. Private services will be held for Mrs. Bean.